Only 3 options are left now. Most people look unhappy now. But never mind! Let's try again! 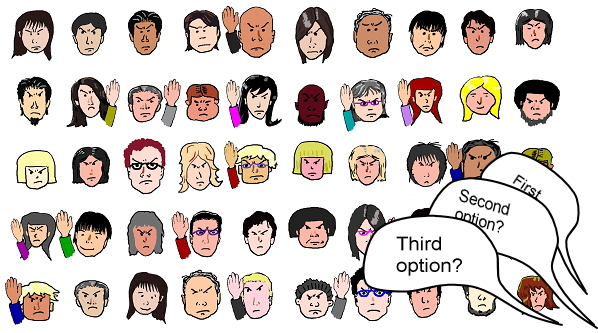 …There are still 3 options to choose from. Let's choose one by majority rule. Oh, Each option has got only about 1/3 of vote. No options has got majority. It means we cannot come to the conclusion.